Give your friends or family an unforgettable and unique gift! Whether it's for a special occasion (birthday, bachelor party, hen party, Christmas...) or just because you love giving great gifts, choose our detective gift box! 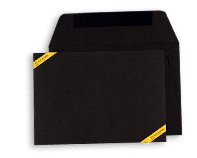 What's in the detective gift box? Select the type of mystery you're looking for and the number of players below, and then select either a simple gift voucher or a detectives gift box in step 2 when you add your contact information. The gift box will be dispatched by post and you'll receive it within 3 working days! 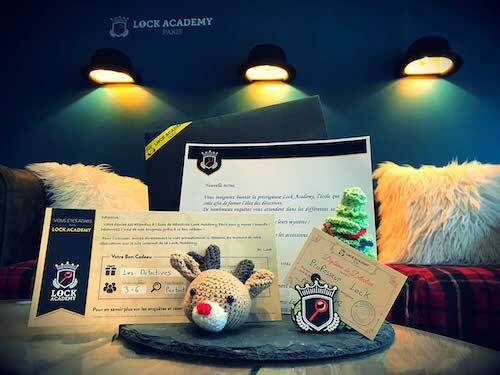 The lucky recipient will be able to book their Lock Academy mystery directly on our website, and if they wish, add people to the booking. Would you prefer to receive an e-voucher instead at no extra cost? No problem, simply choose the email voucher in step 2 when you fill out your personal contact information. Are you looking to bulk-buy gift cards for your company's comité d'entreprise benefits programme? Take a look at our special offers ! BOOK YOUR ESCAPE GAME NOW!